The above products are recommended for installation or mounting of the Surface Cover - VR341. 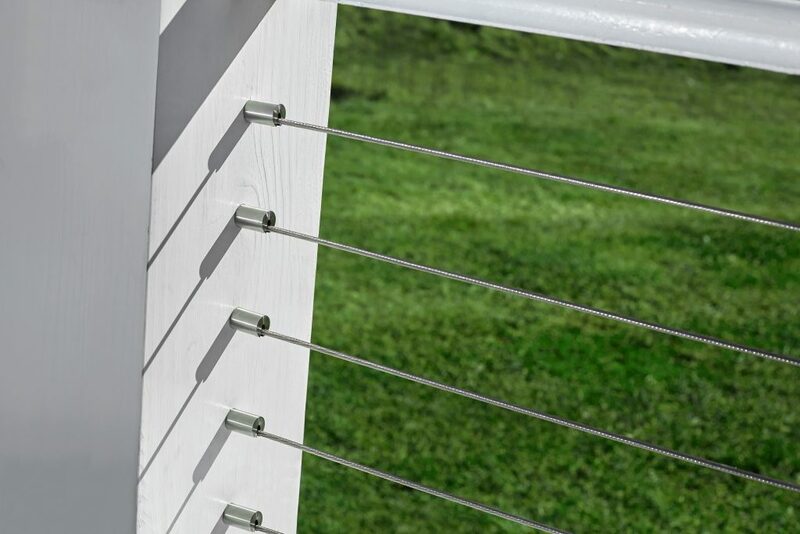 Designed to conceal the the Barrel Fitting in the DriveTite Surface Kit, the Surface Cover gives your cable railing system a sleek and polished appearance. DriveTite Surface features easy installation and a clean, modern look that compliments any setting. 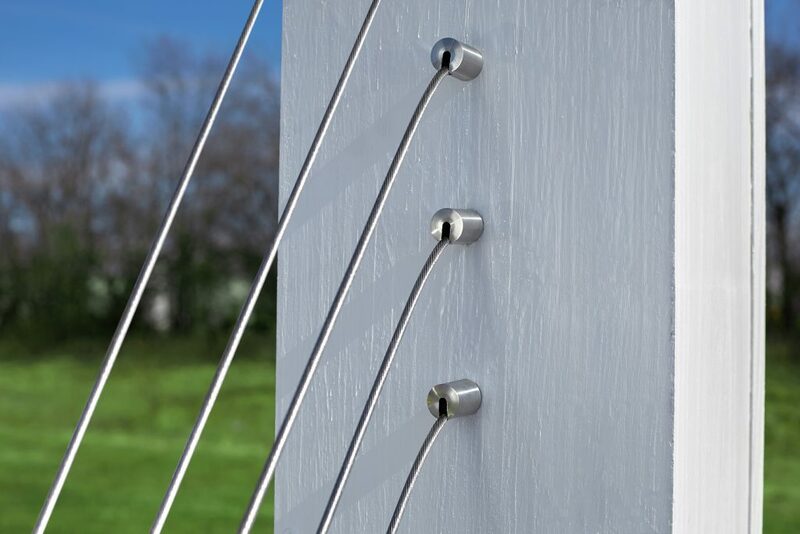 The Barrel Fitting is mounted onto the outside of the post, meaning there is less drilling and less hassle during installation. The Surface Cover hides the Barrel Fitting, maintaining the signature elegance of a Viewrail system. 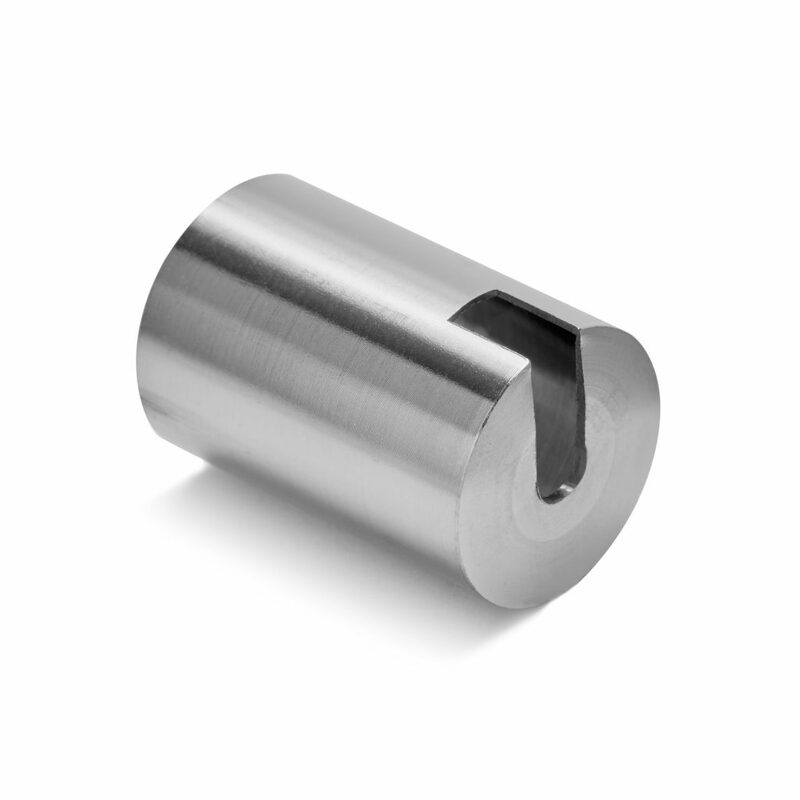 The Surface Cover is manufactured from marine-grade 316 stainless steel and can be found in the DriveTite Surface Kit – VR296. 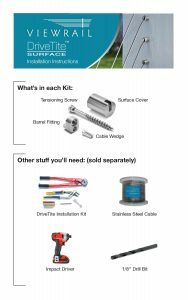 Click on the image below to view our DriveTite Surface installation guide.